Criminal Law - Stephens Fiddes McGill and Associates, P.C. Stephens Fiddes McGill and Associates, P.C. will defend you against felony and misdemeanor criminal charges in both state and federal court. You need an experienced criminal law attorney to fight for you. When you, a family member or a friend are charged with a crime, it can be a frightening, life-changing event. Representation by an experienced criminal defense lawyer will make the difference in the outcome of your case. If you have been charged criminally, you need a criminal law attorney. Schedule a consultation with Stephens Fiddes McGill and Associates, P.C. immediately! Stephens Fiddes McGill and Associates, P.C. serves the Central Illinois area, including Bloomington, Peoria, East Peoria and Pekin. We have been voted one of the top three law firms in Central Illinois five different years in the Readers Choice Awards. Our knowledge in the practice of criminal law will help us counsel you as to the relative strength of your case. 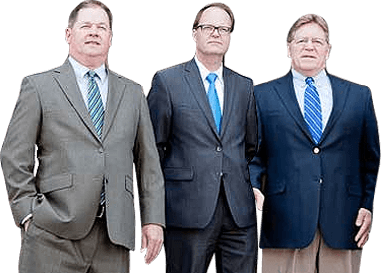 A criminal law attorney can make a huge difference in your case. A Stephens Fiddes McGill and Associates, P.C. criminal law attorney will be focused on your case. Hiring us early in your case will allow us to provide maximum help. You need an attorney that will give your case the appropriate time and attention. The sooner you meet with an attorney, the better off you will be. Engaging us early will allow us to provide the greatest benefits. We will walk you through every phase of your case. You will know exactly what is taking place through the entirety of the case. We will work to ensure that you are informed and that every angle is examined. At Stephens Fiddes McGill and Associates, P.C., every client is valued. All your questions will all be answered. Your phone calls and emails will always be promptly returned. You will receive our personal attention. We invite you to call today for a consultation!